Early days, long hours and changing work demands are all part of the routine for many startups and SMEs. During your first year as a business, a long ‘to do’ list for your startup or SME can become a headache. But you can tackle all the problems with the right team! To find motivated employees that are comfortable with these challenges, you need someone that is equally as flexible and willing to work outside of their remit. 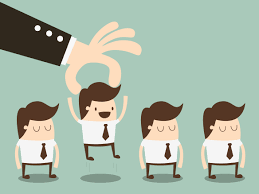 Here’s are five qualities or abilities that you should look for in your new hires. The process of getting off the ground as a startup is much easier when you find multi-talented individuals to work for you. If bringing on a professional writer is on your agenda, then hiring one with experience in marketing or public relations will help with meeting several needs. Attracting employees with multiple strengths can help to cut down on costs: this action provides a better alternative with onboarding one employee to work in two areas as opposed to two or three employees who each only have one major area of expertise. These days, many job seekers have degrees or training in a few subjects, so inviting those candidates into your company is a smart investment. For many people, working at a newly formed company is like riding a roller coaster; There are exhilarating ups and downs, highs and lows each day. Your employees must know how to deal with the exciting, unexpected and unique changes that happen at startups. Being upfront about this aspect of your business is important because you want to paint an accurate picture for your potential new hires. If you find that the candidate has a history of staying on their toes in previous positions, then you may have found a winner! Computers, phones, tablets and more devices offer many options for getting work done. Mobile digital time is “significantly higher” at 51% — as opposed to 42% for desktop — in the U.S. according to marketing advice company Smart Insights. To make the most out of using technology, one must really be comfortable with it. Identifying the right candidates to tackle the tech responsibilities of your business is about more than just looking at a CV skill section. You can ask detailed questions and present real-life scenarios about using whatever tools needed for your business to candidates. This can be a fun process that helps you connect with the candidate in a personal way as well as learn more about their thought process and approach to solving certain issues. Perhaps you may learn that you and the candidate are both Snapchat fans, love to find DIY projects on Pinterest or both text at speeds that would impress the Guinness World Records. Inspired people are just more fun to be around, right? The work day is truly much more enjoyable when you have genuinely interested people on your team. Perhaps your next hire is really happy about your business mission, goals or working for someone who can mentor them at your company. The key here is to find out what your candidates are passionate about and find what about your company aligns with their passion. This way, you can place them in the right position. When you bring someone onboard, you make an investment in them. It is only normal to want a return on that investment in some way, shape or form. Finding a candidate that is willing to make a long-term commitment to your company is one way to earn satisfaction from your investment. You want to really collaborate with the candidate and lay down some ground rules or expectations for this mutual commitment. It’s a meeting of the minds here, so you should know how your candidate is thinking long-term about your company. And you should be forward-thinking about how your company can realistically improve and expand in the future. New Shifts can help you with reaching those candidates who have the qualities that will turn your business into a huge success. You can easily access candidate profiles with detailed titles that highlight a prospect’s biggest areas of experience. From here, if you both show a mutual interest, you can engage with each other and agree a mutually beneficial work experience. This will ensure you have no major outlay to begin with, but you can benefit from the experience the individual has to offer and learn if it’s a role you ultimately want to invest in and bring someone in full time. Take a look at some highly experienced profiles today and see what they can bring to your company.